From airlines trying to do something different, to a police department seeking to evaluate its effectiveness in the roads, Google Glass is constantly applied in many useful ways, even if there have been several difficulties. Even so, you can add Beth Israel Deaconess Medical Center (BIDMC) to the list of useful Google uses. On his blog, BIDMC chief information official John Halamka shared that his medical center ran a lead program that used Glass for an in-house patient information system that was designed in the emergency department. Here’s how they used Glass: A QR code is placed outside an emergency department room, which a physician can check out using Google Glass. After checking, Glass shows the physician everything there is to know about the individual in the room, such as vital signs, lab results, issues, and other info. This re-imagines the status quo up until now, which includes having to redirect attention away from a patient in order to use a computer and read any related details. 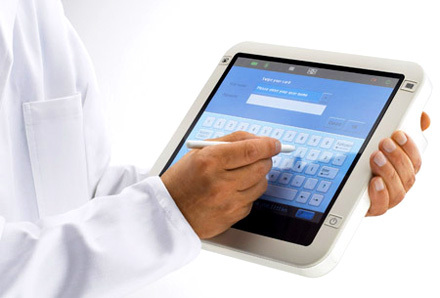 Integrated with the ED Dash panel, a program that medical centers use to observe patient circulation, the customized application uses Glass’ action support to communicate with the user interface, its camcorders to evaluate QR requirements and execute various speech instructions. The medical center made a few variations to Glass, such as iPhone pairing, including an exterior battery pack, allowing straight scrolling by slanting your head, and other optimizations. Fortunately though, BIDMC is not the only medical center in the country that plans to change the way physicians take care of their sufferers the Rhode Island Hospital, which will use Glass in its emergency department. 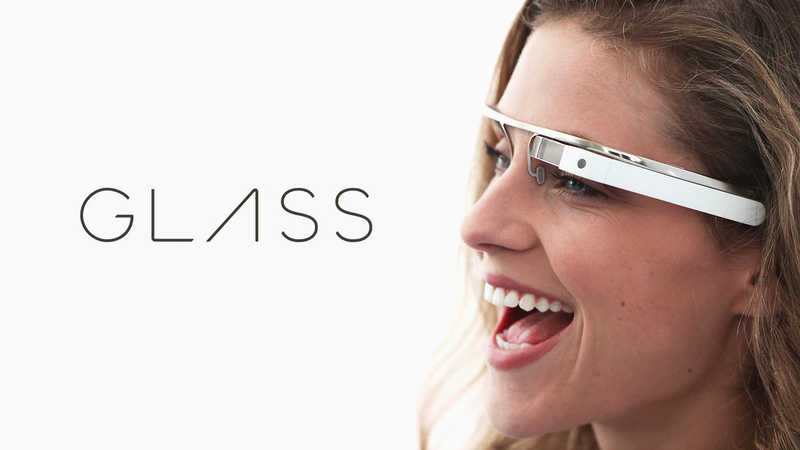 Both plan to provide their applications using Glass in the E. R., though RIH will originally restrict the program to E.R. sufferers affected with skin rashes or other skin-related issues and who are okay with a Glass-wearing physician. Ultimately, both hospitals’ programs provide a lot of potential in enhancing patient care while also improving doctors’ performance. All of a sudden, having an ambulance team equipped with Glass, which would let a physician back at the medical center know exactly what to prepare to immediately provide patient care the moment they step in the medical center, is not that far-fetched of an idea. BIDMC will move out the program, which was in testing up until now, in a matter of weeks, while RIH will most likely move out its program after its following six-month study is over. Physicians have been caught in the middle of the transformation of the American healthcare care distribution program brought on by the Affordable Care Act. Doctors who battle the regulation and those who support it are trying to adjust to a fast changing healthcare environment. A Deloitte Center for Health Solutions survey of American physicians found 44 % thought the ACA was “a good start” and 44% reacted that “it is a step in the wrong direction.” Obviously, older physicians were more likely to be in the second group of participants than younger physicians. Citizens at the Kane Regional Centers will soon have a new friend in the physician’s office: “Telly,” a tele-presence digi-cam rig that can connect to a remote doctor and gather healthcare details during exams. The rig is part of a UPMC-run program called RAVEN or Initiative to Reduce Avoidable Hospitalizations Using evidence-based Interventions for Nursing Facilities in Western Pennsylvania, which is financed by a $19 million grant from the Centers for Medicare & Medicaid Services. “Bringing tele-medicine to the Kane Centers will enhance the speed and performance of patient care with which residents receive healthcare consultations when there is a change in their health,” Allegheny County Executive Rich Fitzgerald said. “It will also slow up the need to transport residents to a medical center or E.R., which is difficult for some of them.” “Telly” will not substitute doctors, who will still perform routine exams. It’ll only be used when an individual’s condition changes, along with a shift in breathing, heart function or pain. The robot-like rig will be monitored by physicians and can examine the eyes, ears, nasal area, neck, respiratory system, heart, stomach, skin, arms and legs and neurological system. All staff, from administrators to porters, needs to experience recognition, thanks and support for the work they do. Yet far too few organizations truly pay attention to their staff or acknowledge the significance of their experience. Even less act upon what they hear to make staff feel it is worth speaking out, worth raising their head above the parapet to state that employment levels are risky or that they are being harassed. We need to pay attention to staff better and act upon what they say if we want them to feel respected, remain in their selected career and provide sympathetic patient care. The majority of people get into professional doctor and nurse education and learning inspired by principles and a sense of altruism, at least originally, but these features can become worn away eventually by the requirements of the program and the job. There are particular difficulties associated with working with, and directly caring for, sufferers or patient care in other words. We ask them to do this all day, every day, in a fast moving atmosphere where they often feel unrecognized and in need of support and where some will encounter great stress and feel burnt out. It is little wonder that some units have problems with staff revenues and recruiting. 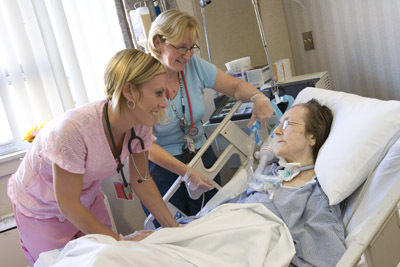 The patient care work has found that sympathetic high ideals and principles, held dear by graduating learners, can become discontinued and mashed, with nursing staff confirming some degree of burn out within two years of certification. Across all staff groups, the requirements of patient care work mean that cynicism can develop and staff can become less understanding and more distant from their sufferers. 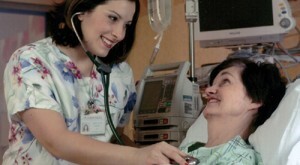 It is therefore crucial to secure staff from the problems of patient care work. Everyone needs support and restoration. Nearly 200 medical professionals from around the state gathered in Manchester to share their communities’ techniques to providing Vermonters with high-quality, patient-centered medical care. “With all the state and federal policy changes ongoing, medical service suppliers remain targeted on why we are so deeply engaged in this work, to create lasting improvements in patient care and community wellness,” says Bea Grause, President and CEO of the Vermont Association of Hospitals and Health Systems (VAHHS). The EMR or electronic medical record’s guarantee of participation to health care price benefits got a second look recently, and the results were inadequate at best. But what I found interesting was the “second look” was from the same company that did the first look: the corporately-funded, non-profit think-tank called the RAND Corporation. 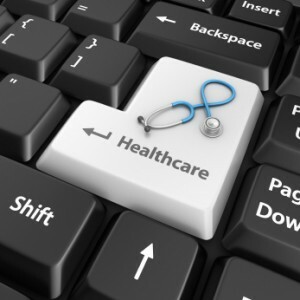 A team of RAND Corporation researchers estimated in 2005 that fast adopting of health information technology (IT) could save the United States more than $81 billion dollars yearly. Seven years later, the scientific data on the technology’s impact on health care performance and safety are combined, and yearly health care expenses in the United States have grown by $800 billion dollars. Who would have thought that such a famous company like the RAND Corporation could have made such a little, tiny multi-billion dollar mistake? After all, their 2005 study was financed entirely by several of the major EMR producers who have gained enormous amounts in income on EMR sales since. Is there any wonder that now the same RAND Corporation sensed that the EMRs deficiency of price benefits is really the end-users’ fault? In our view, the frustrating performance of health IT to date can be mostly linked to several factors: gradual adopting of health IT techniques, in addition to the choice of techniques that are neither interoperable nor easy to use; and the failing of medical service providers and organizations to re-engineer patient care procedures to obtain the benefits of health IT. What a superficial evaluation. There is no talk of the price of these techniques, their maintenance, deficiency of interoperability, inadequate user-interfaces, and in many cases, deficiency of design support. Even more interesting, there was no consideration that someone might actually figure out a way to efficiently dress the government’s arcane certification requirements for compensation that would permit more patient care spending. No, those tests would have been too obvious. Instead, the Rand Corporation informs us that there were no price benefits with the EMRs because doctor- and hospital-customers did not re-engineer their patient care procedures or “adopt” poor first-generation techniques. Today, suppliers can no longer go to work with a stethoscope and their well-trained mind and hands. In a medical center or a workplace, few of us need a black leather bag. But we do need information, and in methods we never experienced in our training. 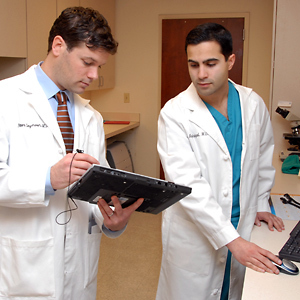 Technological innovation is fast changing how we approach patient care. Decision support tools are still in their beginnings. Within a very short time, I believe we will be using technology to help us improve the patient care methods we have not yet fully considered. There are two dimensions of technology that I believe will considerably improve patient care and the connection with our sufferers. First, bedroom diagnostics, ultrasound evaluation has quickly become the standard of proper care for experts to place lines. 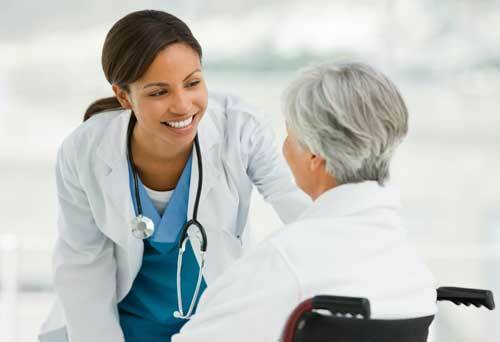 Now, convenient ultrasound is available for the bedside physical evaluation. Most doctors currently usually spend most of their time on worldwide medical volunteer missions. They have a convenient ultrasound that is only a little bit larger than the normal smartphone. The sensor / probe looks like a tiny flash light. In towns in remote Nepal, they are able to ultrasound sufferers to help identify serious diseases that may require transportation to tertiary care organizations. As internet and mobile cell phone availability enhances throughout the world, there are places where they can deliver the pictures to radiologists in the United States to assist with decoding and making an analysis. I think the normal doctor in western world will soon carry a pocket ultrasound for use throughout the day, whether hospital or office-based. Second are the incredible opportunities to use mobile phone technology to enhance the care of chronic diseases. The concept of “crowd sourcing” allows sufferers and their providers to share information that can considerably improve chronic illness. Ninety-one percent of people keep their smartphone within 3 feet of them 24 hours a day. An early experiment in patient care with inflammatory bowel illness has produced impressive improvements in the illness by tracking individuals’ activities through their mobile cell phone GPS and accelerometer and responses to scheduled text messages.